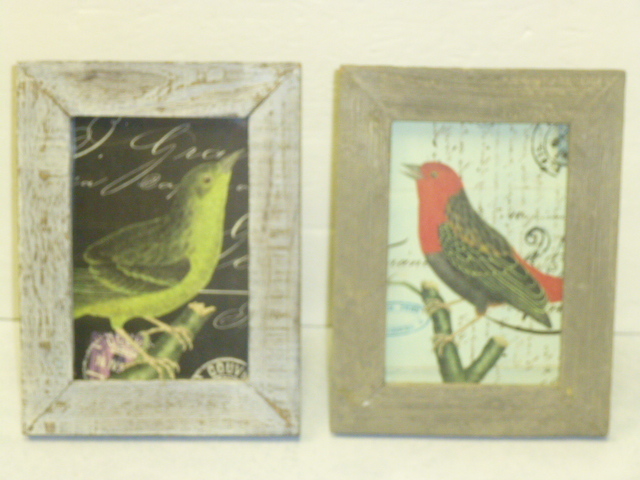 Been getting LOTS of spring things ready to go to Stars! 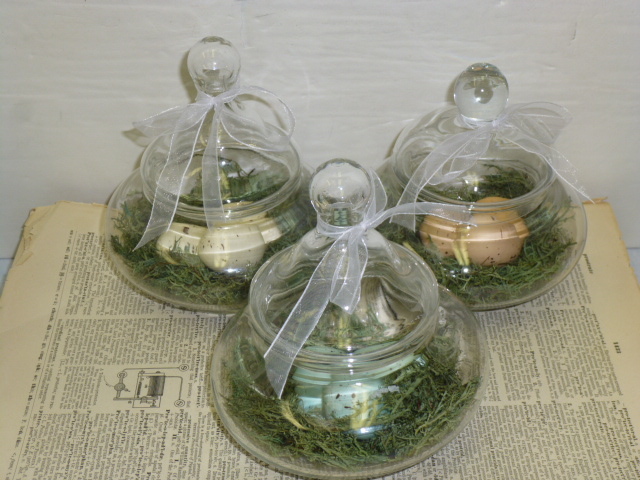 Batch of vintage apothecary jars. 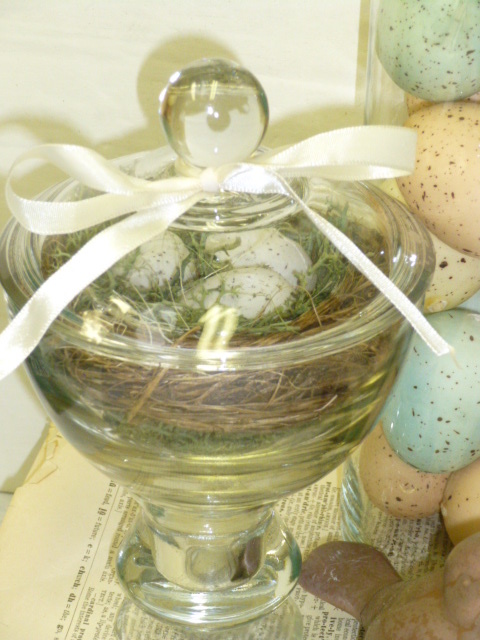 You can tell the ones that are older because the inside rim of the topper is frosted glass. 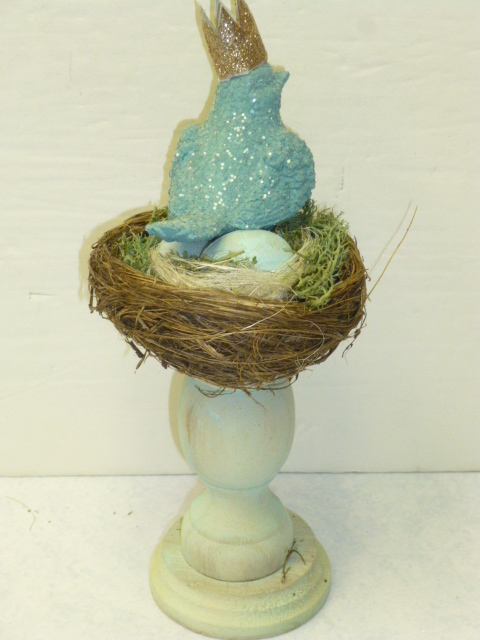 This was one of the birds with the wire feet; except the feet broke off on this one. 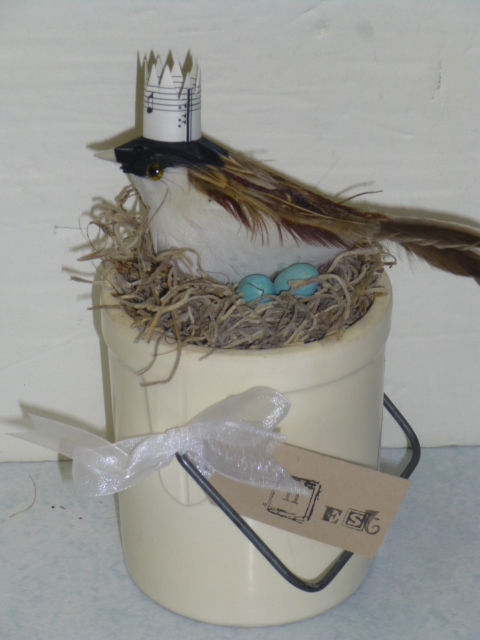 So I put it in a nest! 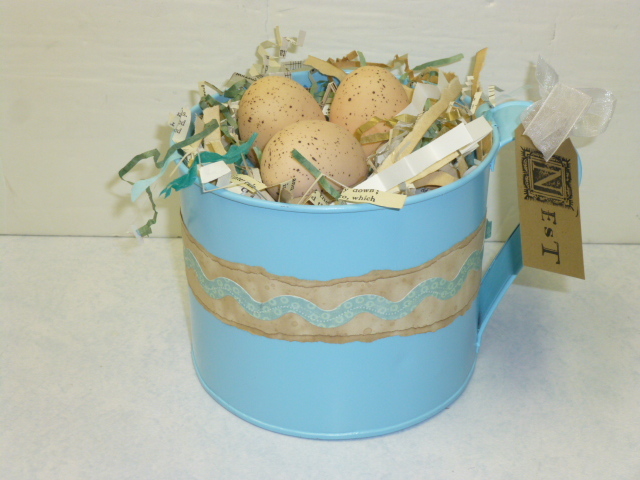 BIG vintage tin cup filled with paper shred and eggs. 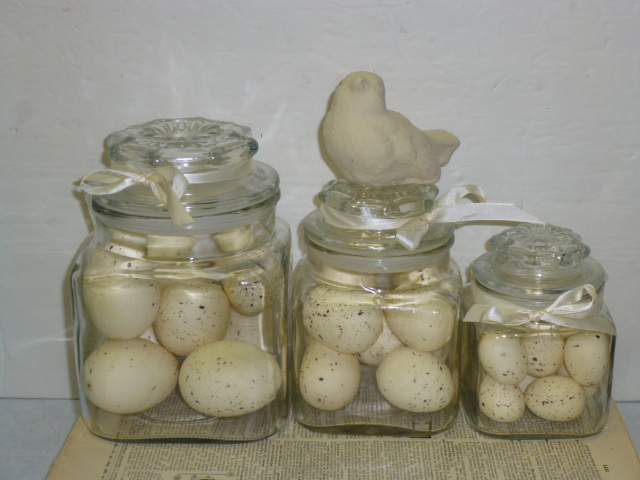 (those are ‘real’ sized eggs). 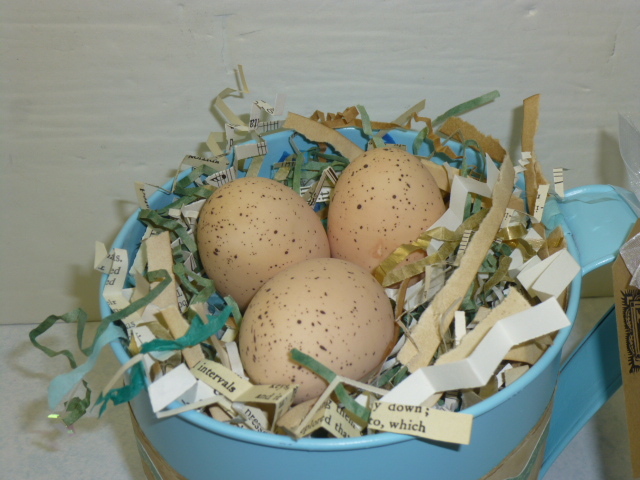 I didn’t have any ‘grass’ to use so I just used my custom paper shred mix. Since the cup is turquoise, it worked just fine. 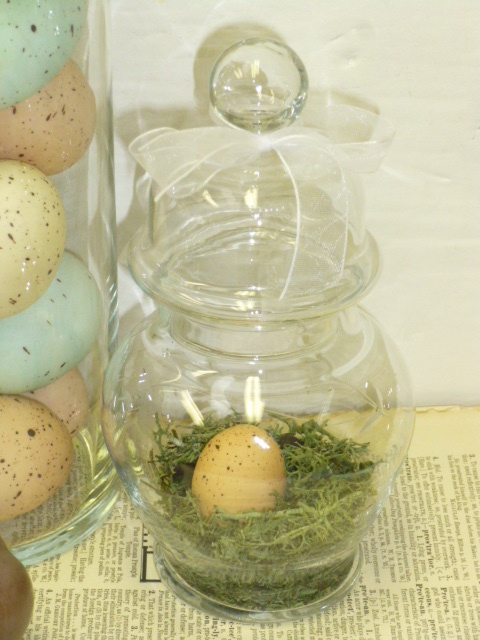 Nest with eggs in apothecary jar. 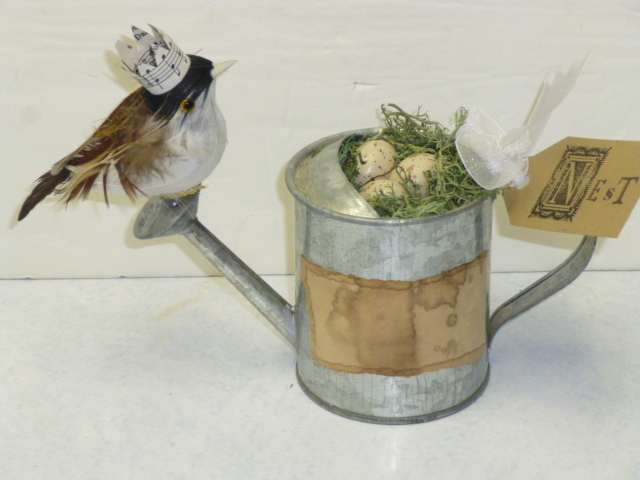 Little tin watering can had a weird logo on the front, so I covered that with some tea stained paper. 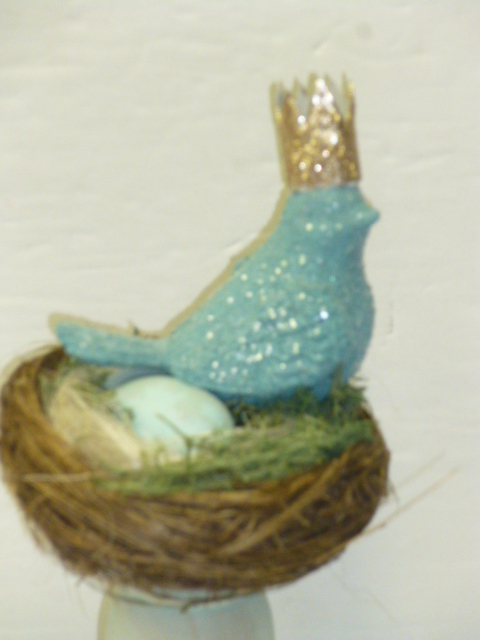 Vintage cherub wall sconce nest. 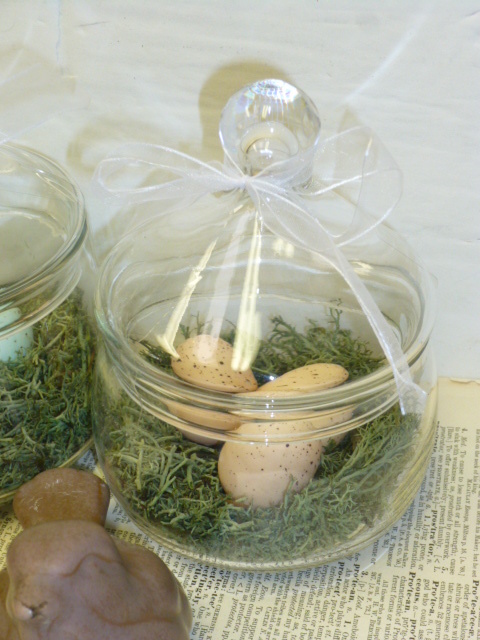 I had lots of eggs left over from last year to use up, so I didn’t need to buy any this year! 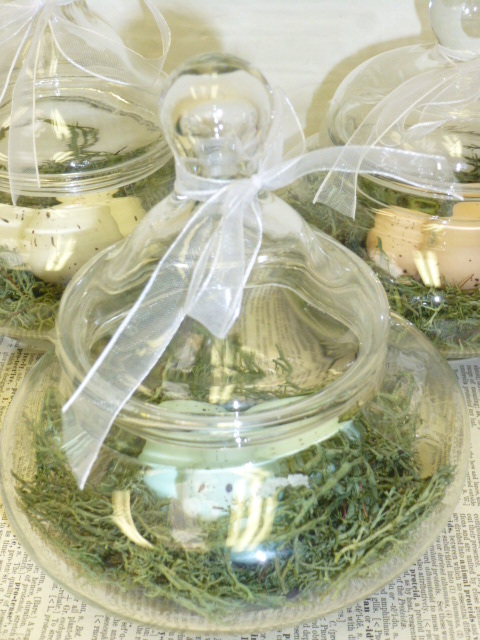 Pulled out my stash of jars that I collect year round and a bag of moss and started filling! 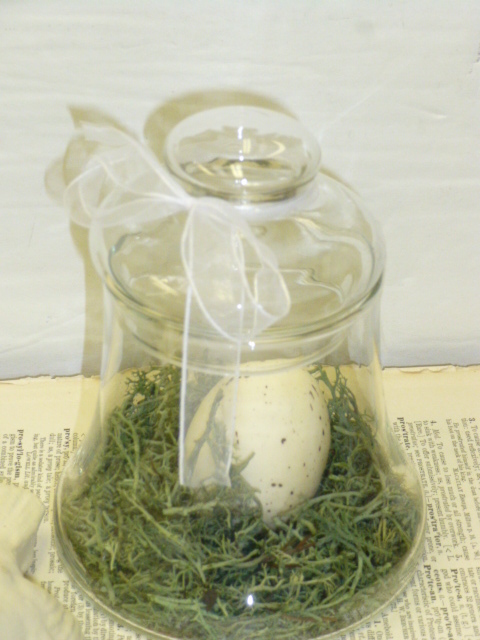 A single egg on a bed of moss in a small jar. 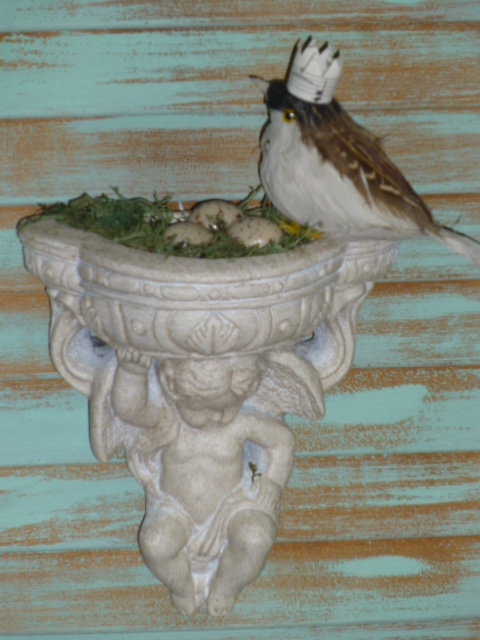 Covered pedestal bowl was just the right size for one of the nests. Just added a bit of moss in the bottom. 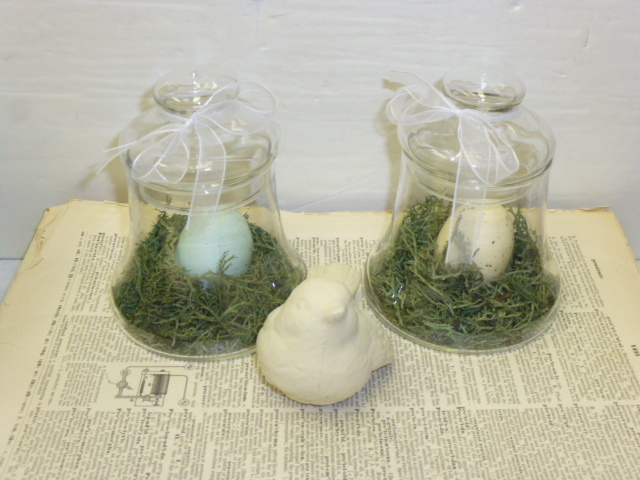 Little bell jars with moss and one egg. 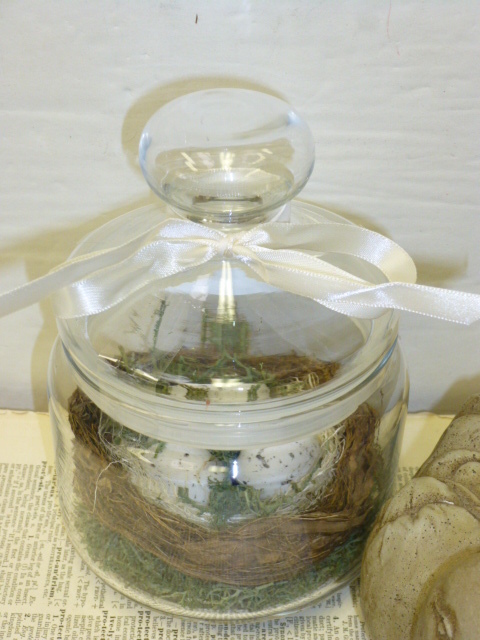 Bigger jars filled with nests. 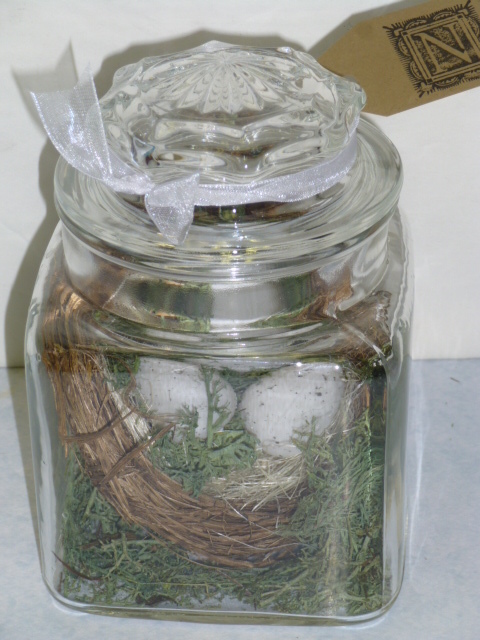 Short squatty jars were too small for the nests, but had room for three eggs and moss. 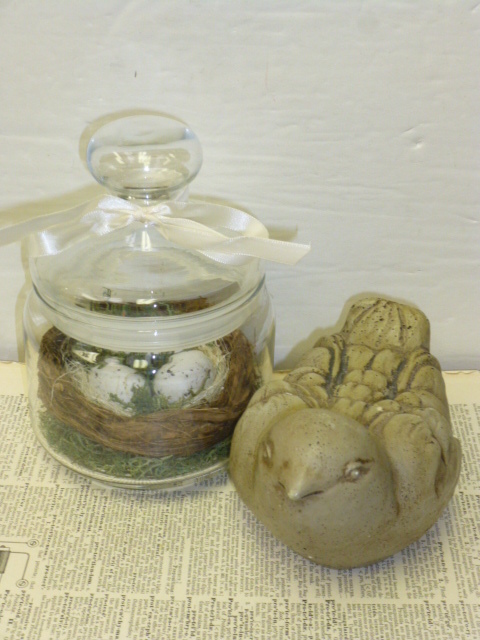 Slightly bigger jars, but still to narrow for the nests; so again, just moss and eggs. 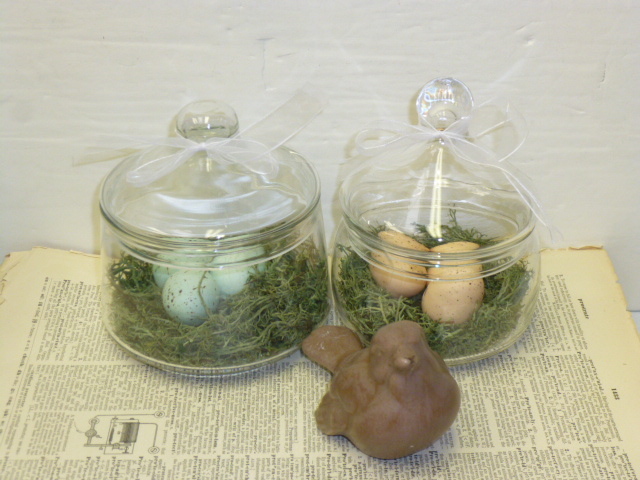 I had more of the cream colored eggs left, so I filled this coordinated set with them. 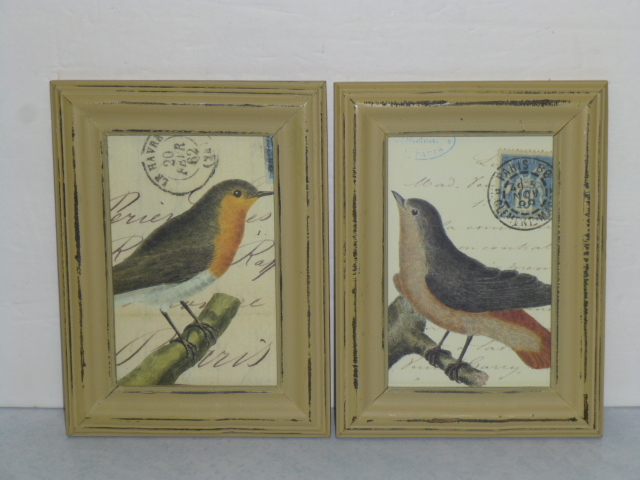 Vintage repro bird post cards that I framed. 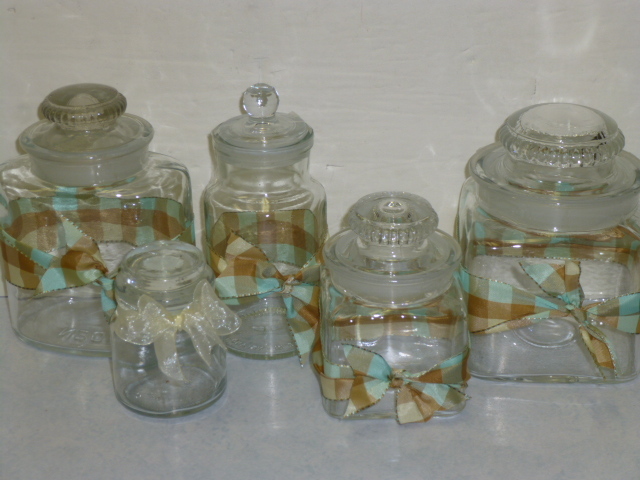 This set went to my etsy shop and has already sold. 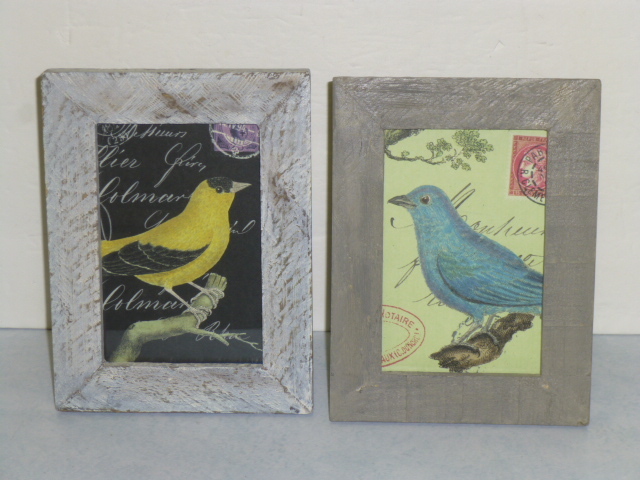 The rest of them, in these weathered wood frames will be going to Stars. And now I just have to price and pack them all up to take to Stars! 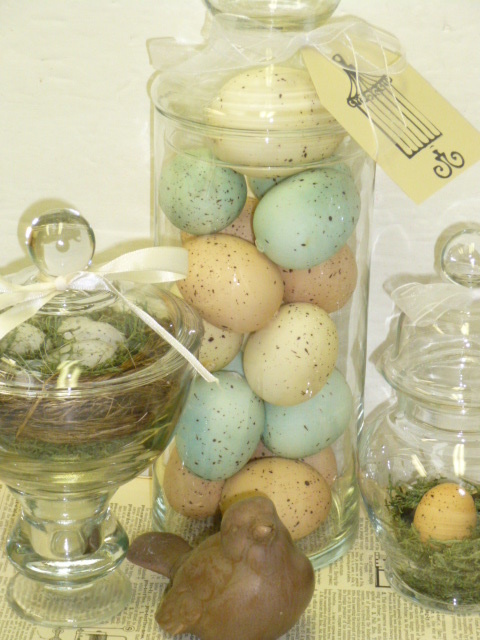 Have you started on your spring/Easter decorating yet? 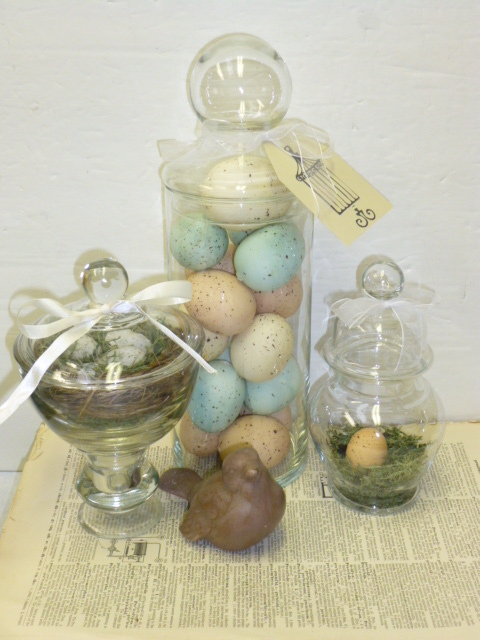 Easter is EARLY this year, March 31st! Gosh, you are so clever! 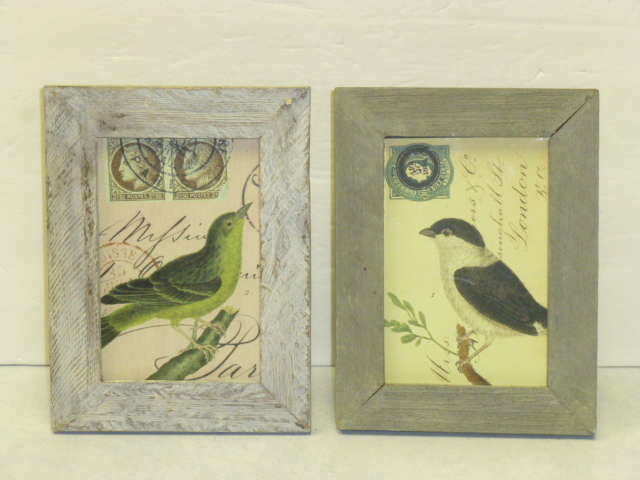 These are darling. I bet they sell like hotcakes! Can you do a tutorial on how you make your custom paper shred? I own a shop and would love to bag some up and sell it or use it as gift bag shred.